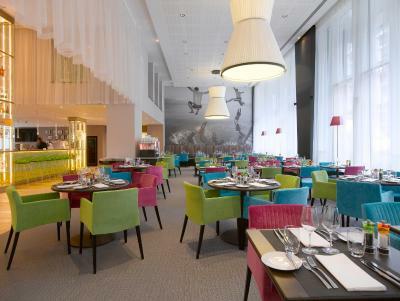 Lock in a great price for Thon Hotel EU – rated 8.9 by recent guests! 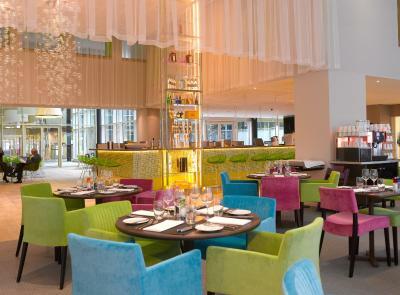 This is one if the cleanest and nicest hotels in Brussels. Food excellent. Staff excellent. Room fabulous . Nothing to fault. Excellent breakfast. Quiet comfortable room. Friendly staff. everything. its a splendid hotel. The beds are so comfortable. Sheets soft as a cloud. Bathroom was spot on clean. So many channels on the tv. Great service at check in. Nice coffee and tea available in the rooms. Bed was like a cloud. Most comfortable hotel I've ever stayed at. The bed was like a cloud. 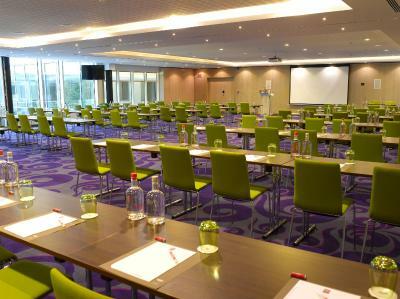 The room was very modern andtastefully decorated. The bathroom so amazing. Bath tub full size. Such a beautiful hotel great value. location, service, food, newspapers in the morning. Very much appreciated to get a 60mn free coupon for a massage as I was suffering from a sciatic nerve problem. 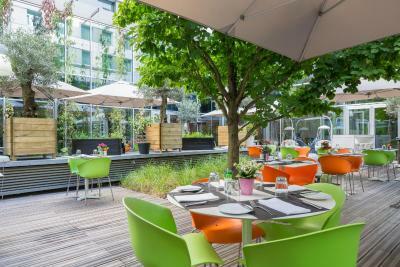 Set in the heart of Brussels' European District, Thon Hotel EU is an environmentally friendly hotel located 1,300 feet from the European Commission and the Maelbeek underground station. 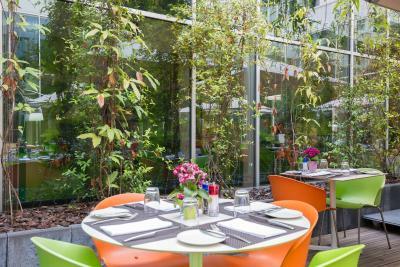 It features a high-tech fitness center, an in-house restaurant and secured parking with electric car chargers. Free WiFi is available in the entire hotel. 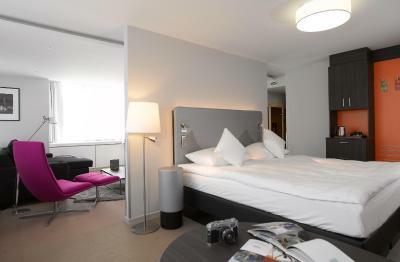 The bright rooms at Thon Hotel EU come with a Smart TV, a work desk, a small fridge with 2 complimentary bottles of mineral water, Nespresso coffee machine and private bathrooms with free toiletries. Many rooms are fully adapted to disabled travelers. 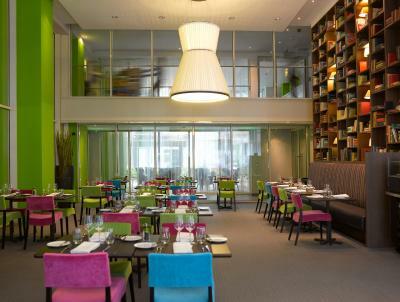 Guests can enjoy a snack, drink or meal at the hotel's brasserie-style restaurant The Twelve. A breakfast buffet is offered here every morning. 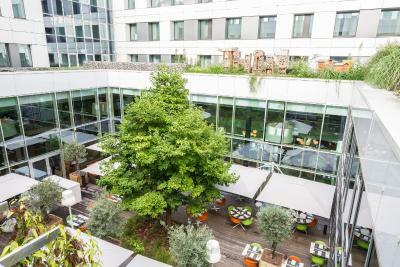 With good weather, guests can relax at the large outdoor terrace. 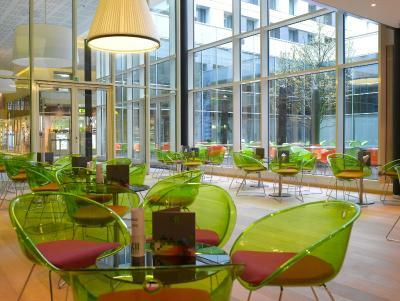 The hotel's ground floor is home to the Thon Passage Shopping Gallery, featuring many shops. 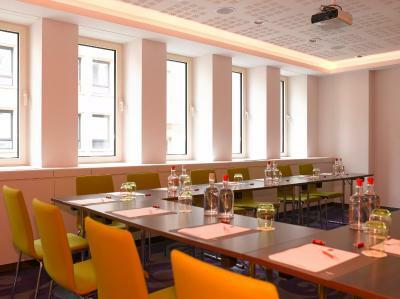 Thon Hotel EU is 1.2 mi from Brussels' historical city center including the Grand-Place and the Manneken Pis. The Heysel Expo is 4.3 mi from the hotel. The Parlamentarium and the Royal Palace are a 15-minute walk away. The House of European History is only a 7 min. walk from the hotel. 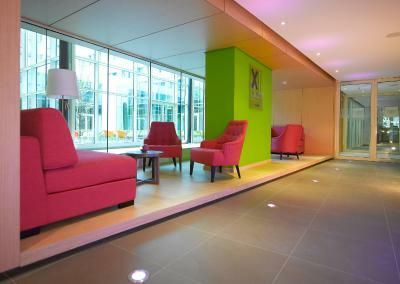 When would you like to stay at Thon Hotel EU? 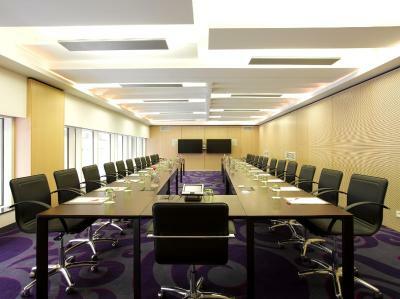 This spacious, air-conditioned room comes with a desk, a smart TV, a Nespresso machine and coffee/tea making facilities. It has a small fridge with 2 free bottles of water. 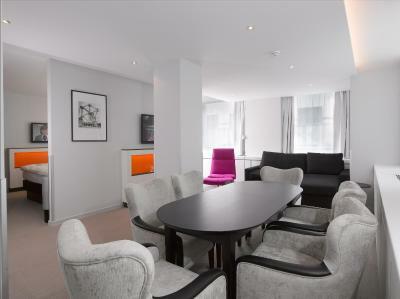 This large suite comes with a separate seating area. 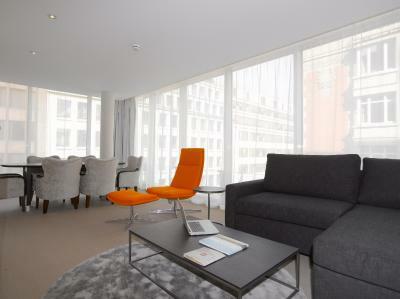 Guests can of the Suite can enjoy an early check-in from 10:00 and late check-out until 15:00. A 10% discount on laundry service, drinks and meals from the restaurant or room service and 1 complimentary drink at the bar per person per stay. This spacious, air-conditioned room comes with a seating area with a smart TV, a water cooker, a Nespresso machine and a desk. It has a small fridge with 2 free bottles of water. Some rooms open onto a terrace. Guests can of the Club Double Room can enjoy an early check-in from 10:00 and late check-out until 15:00. A 10% discount on laundry service, drinks and meals from the restaurant or room service and 1 complimentary drink at the bar per person per stay. This extra spacious suite comes with a living area and a bathroom with a sauna. 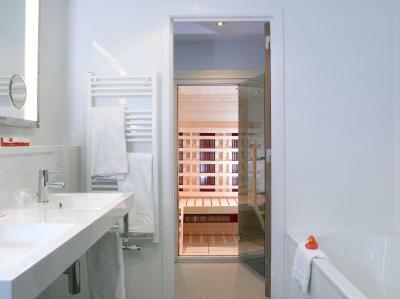 The Royal Suite is fitted with an infrared sauna and complimentary mini-bar. 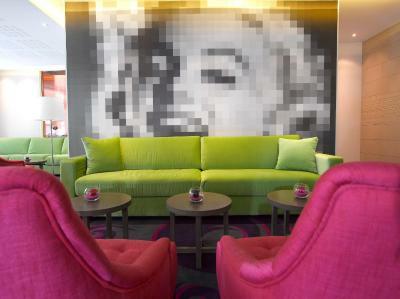 Guests may enjoy early check-in from 10:00 and late check-out until 15:00. 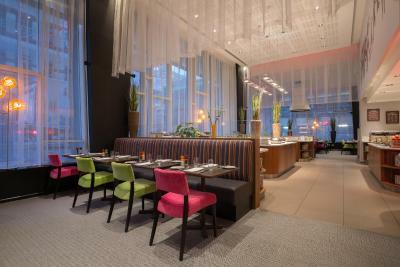 A 10% discount on laundry service, drinks and meals from the restaurant or room service and 1 complimentary drink at the bar per person per stay. 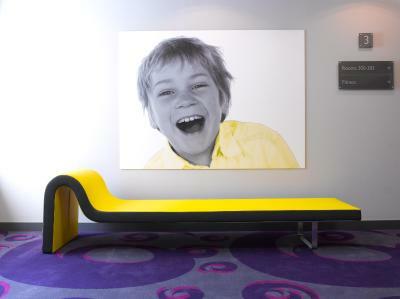 House Rules Thon Hotel EU takes special requests – add in the next step! Thon Hotel EU accepts these cards and reserves the right to temporarily hold an amount prior to arrival. Please note that the car park entrance is at 120 Rue De Treves. 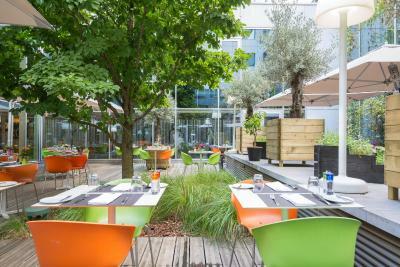 Guests staying at Thon Hotel EU receive a 50% discount on the parking price when staying on a Friday and/or a Saturday. Please note that a late check-out during weekends is possible until 18:00 only upon availability. Breakfast choice was fantastic. Good quality. Rooms and public areas very clean and smart. Check-in very efficient. 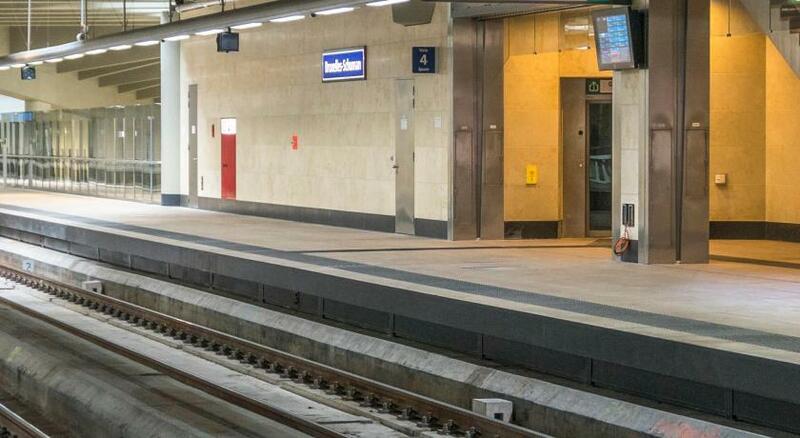 Walking distance to quite all EU institutions buildings, and in front of the entrance of the metro. Hotel parking fee is expensive. Hotel was clean and staff was good. Pillows were smaller than usual. Hotel is in good shape and clean. Close to the city center. Staff in the reception desk was fluent in english.